The first week of the New Year is all about starting anew. There’s something about the changing of the calendar that invites retrospection of the year gone by and the setting of goals for the coming year. Most of Japan is closed during the days surrounding New Year’s Day, giving people the opportunity to focus on starting the year right. In Kawagoe, that means heading out to Kita-in Temple’s Daruma Festival, held annually on January 3. The red Daruma is for luck and good fortune. The white Daruma brings love and harmony. 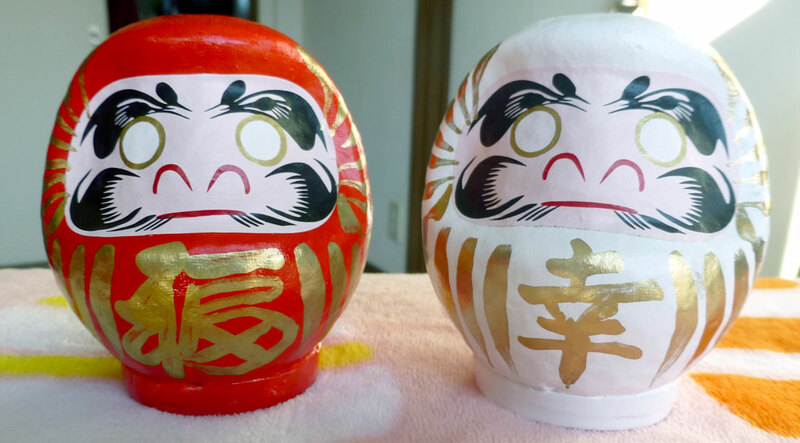 The Daruma’s eyes are both blank. Once you’ve decided on your goal for the year, you color in one of the eyes. If you accomplish your goal, you color in the other eye. If you don’t achieve your goal, well… I guess you have a Popeye Daruma. 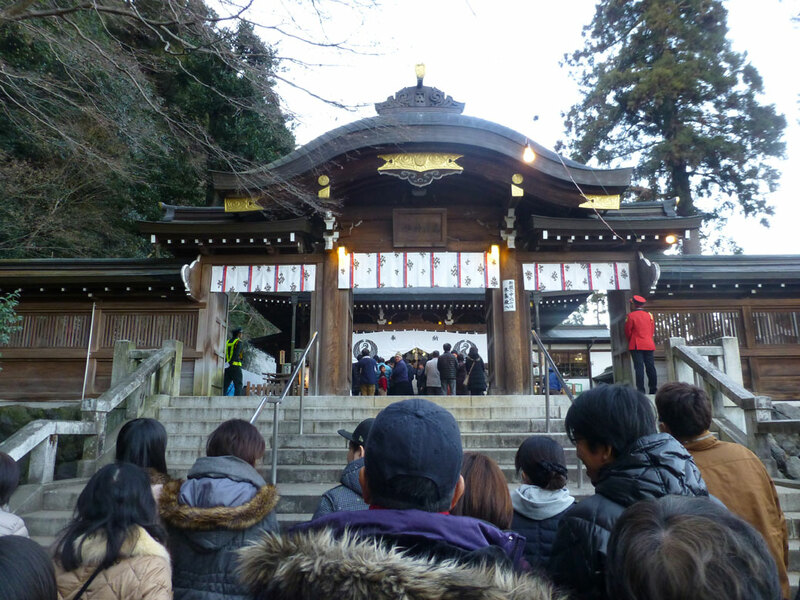 At the beginning of the New Year, people bring last year’s Daruma and other charms (decorative arrows called kabura-ya (鏑矢) are another common New Year charm) back to the temple or shrine to be ceremonially burned. Mountains of 2014 charms piled near Kita-in’s main temple. 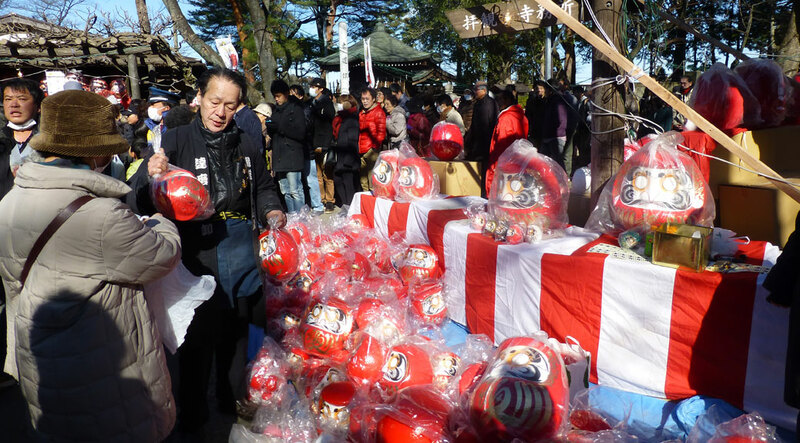 Vendors lined the paths of the temple grounds with new Daruma and charms for sale. If you want general good fortune, buy a red one. Want to focus on love and happiness? Get a white one. Even corporations get in the act, buying larger Daruma equal to the audacity of the goal. It wouldn’t be a Japanese festival without Japanese festival food and the Daruma Festival had plenty. Hockey puck-shaped pancakes filled with cream or sweet bean, called imagawayaki (今川焼き), are a popular sweet treat. 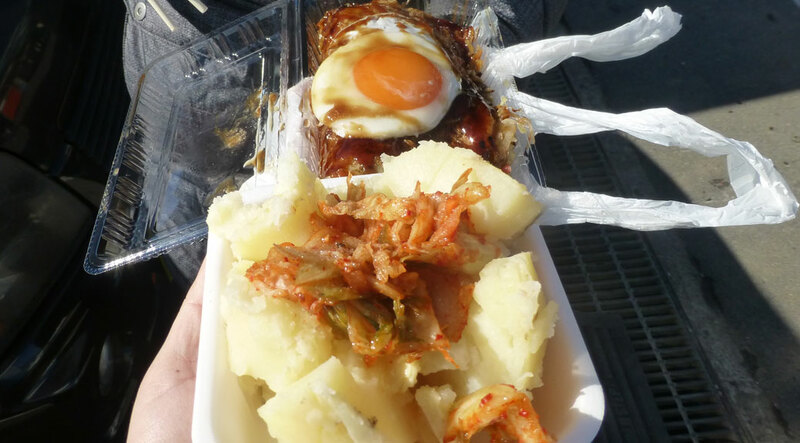 Hot, steamed potatoes with butter, mayonnaise and kimchi are another mainstay at the local festivals. We managed to catch the okonomiyaki guy just before he sprinkled on the fish flakes, making for a filling lunch. 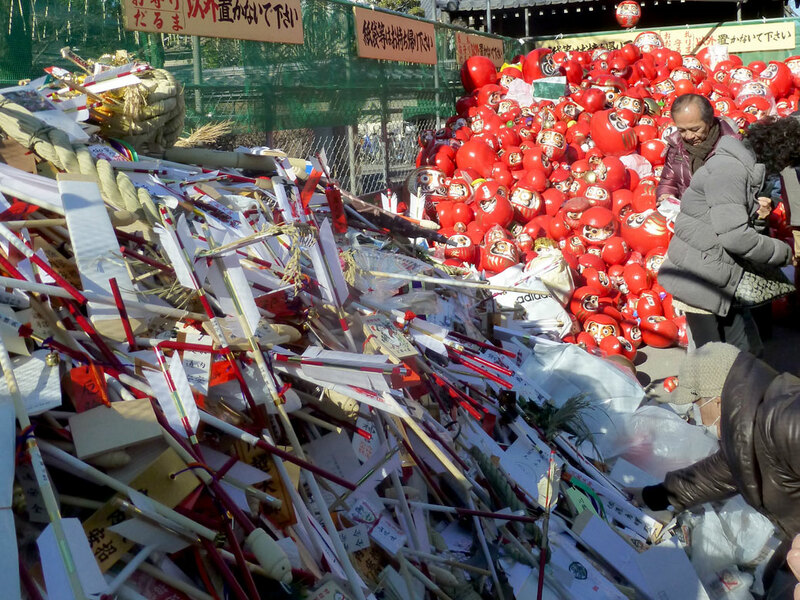 Walking through town, many of the shrines were still packed with visitors paying their first respects of the year. 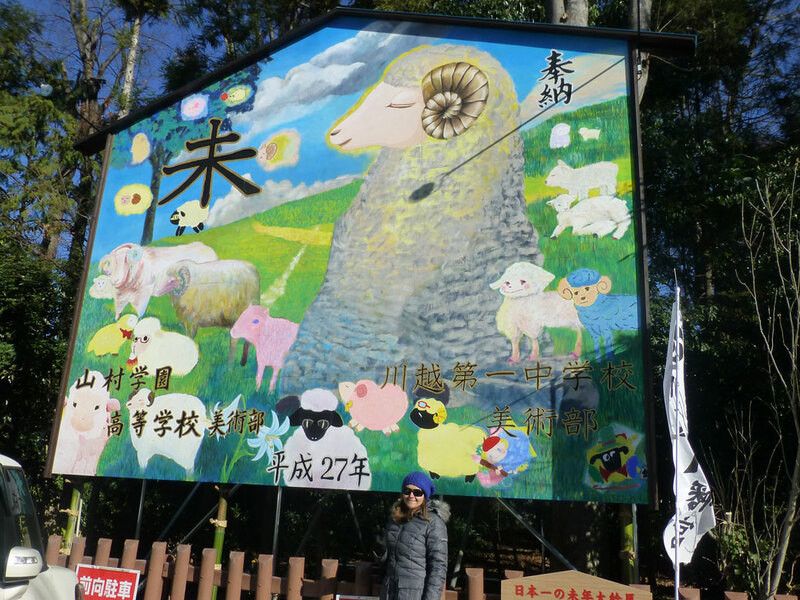 One of our favorite little shrines, Kawagoe Hachimangu, featured a brand-new mural celebrating the year of the sheep. 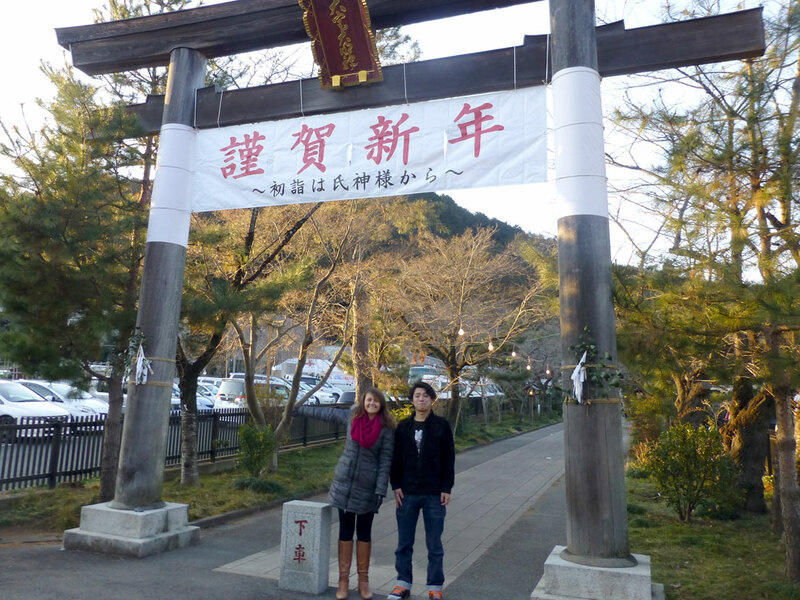 A couple days later, we visited Koma Shrine in nearby Hidaka. One of Viktoria’s students, Akinari, is a local and volunteers at the shrine during the holidays. He had ample opportunity to practice his English with us as we peppered him with questions about the traditions and meanings of different things. He patiently walked us through the ceremonial hand washing process (temizu/手水) before paying respect at the shrine (toss a coin in the bin in front of the shrine, bow twice, clap twice, make your prayer then bow once). 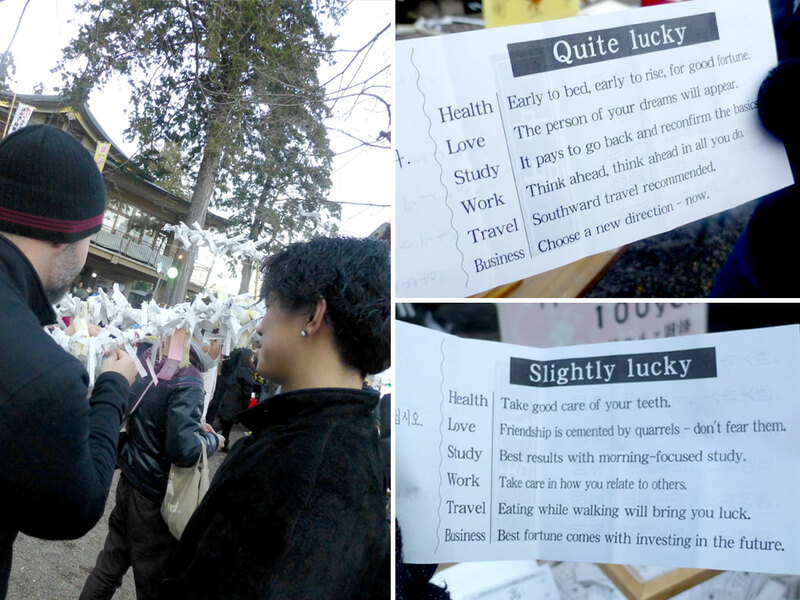 We bought our fortunes (omikuji/おみくじ) for the year, which Koma Shrine kindly offered in English and Korean in addition to Japanese. Mine was only “Slightly Lucky,” so I tied it to the tree branch with all the others in hopes that the slight luck would attach to the tree instead of me. Omamori charms. These particular charms provide protection during travel. Akinari’s job at the shrine is selling omamori (御守), charms that provide blessings and luck for the holder. 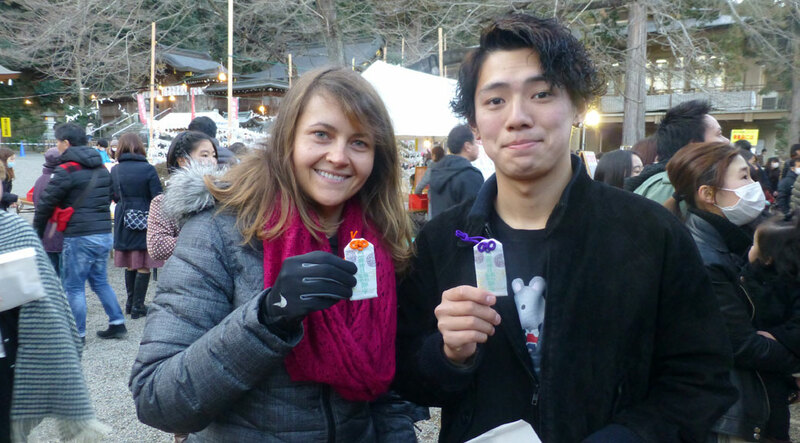 Viktoria and Akinari each bought a ryokō anzen omamori (旅行安全御守) or a travel safety amulet to protect us on our various adventures abroad in 2015. Akinari also gave us the low-down on some of the festival foods that we always wondered about. Hidaka’s past is intertwined with Japan’s complicated relationship with Korea and, as a result, has a lot of Korean influences. He explained toppoki (tteokbokki in Korean), which is mochi, tofu and eggs in a spicy sauce. We’d seen it before, but the mochi look like little sausages, so we always avoided it. It was delicious! 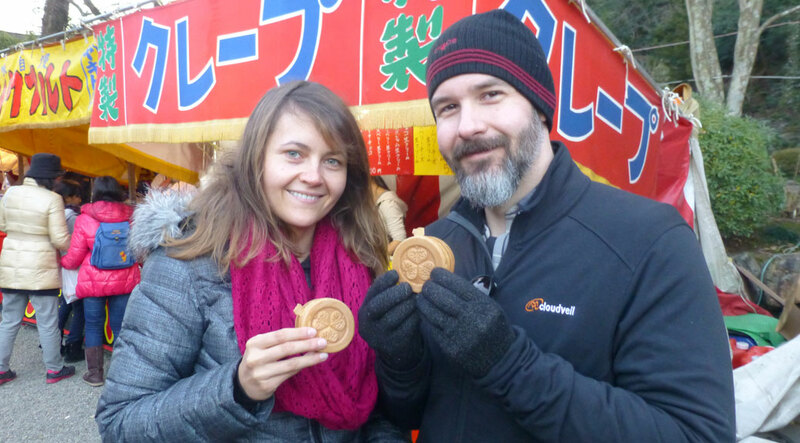 We also continued our search for the best imagawayaki. This one may be the leader in the clubhouse! Afterwards, he took us to nearby Kinchakuda-Manjushage Park, close to one of our favorite restaurants (Alishan Cafe). The park is famous for its red spider lilies, which bloom by the millions in the fall, flooding the rice field in a sea of red. 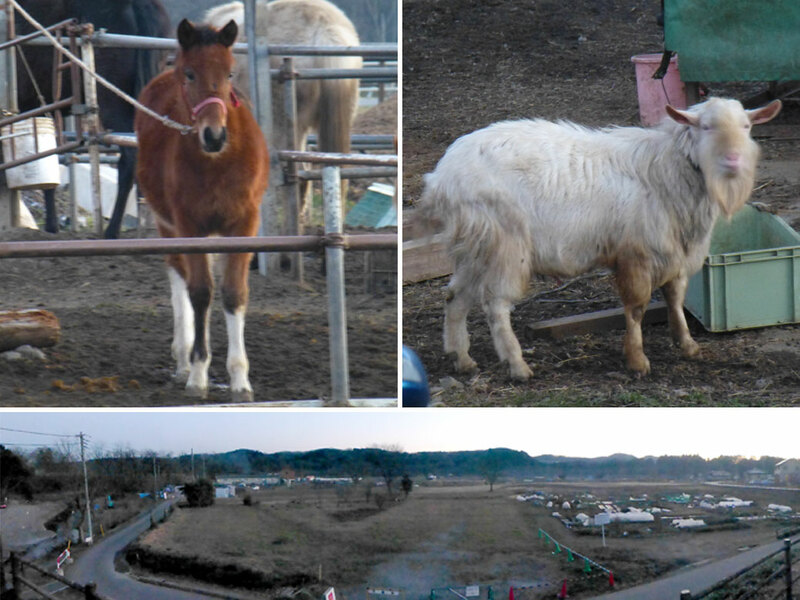 Goats and horses at a farm opposite the park were apt as we closed out the Year of the Horse and rang in the Year of the Sheep (goats… sheep… close enough!). Getting the local experience was really valuable and we couldn’t be more appreciative of Akinari giving up a Sunday night to show us around. It’s a great memory of our first New Year in Japan.